Although I do enjoy a good beer or a glass of wine, I can be partial to cocktails if the mood strikes. They're usually pricier than their alcoholic friends, and they can hit you like a tons of bricks if they are strong enough (they best ones are), but when they are crafted with love, there's nothing like a nice cocktail to take the edge off. Especially at the end of a really bad day. The flavors of summer are some of my favorites to incorporate into any recipe, but namely cocktails. Summery fruits are perfect vehicles for concocting sweet and delicious libations for any occasion, whether entertaining guests, or drinking away your troubles (we've all been there). It just feels better with a well-executed cocktail in hand. Today I will be sharing a couple fun cocktail recipes. The first is tropical-flavored featuring rum and pineapple which will take your taste buds (and mind) to a warm and happy place far far away, preferably to a deserted island with turquoise water and white sandy beaches (can't you see it now?). I'm calling it Pineapple Paradise, because that's exactly what it is. 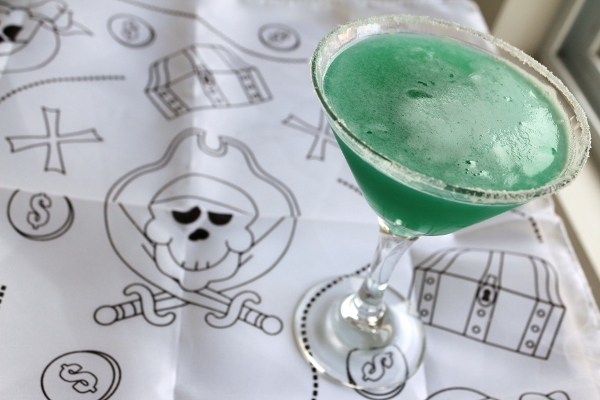 I created this drink shortly after returning from my Disney Cruise and badly wishing I was back on board. 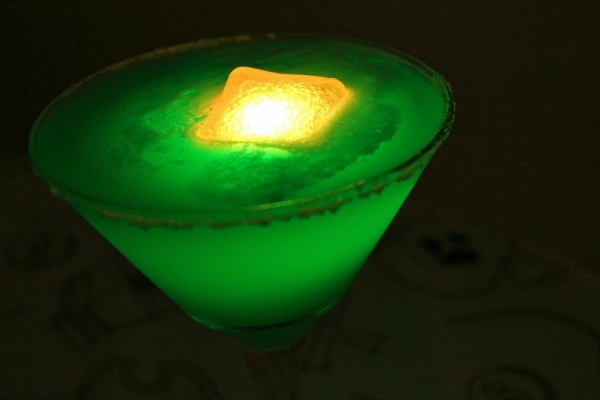 In fact, when I made the drink, I even garnished it with a colorful souvenir glow cube I obtained from one of the bars on board. It makes the drink feel even more festive. The second drink is actually a recipe I acquired from a recent visit to Fleming's Steakhouse. I actually ordered two of these off their cocktail menu because after tasting one, I couldn't stop drinking them! 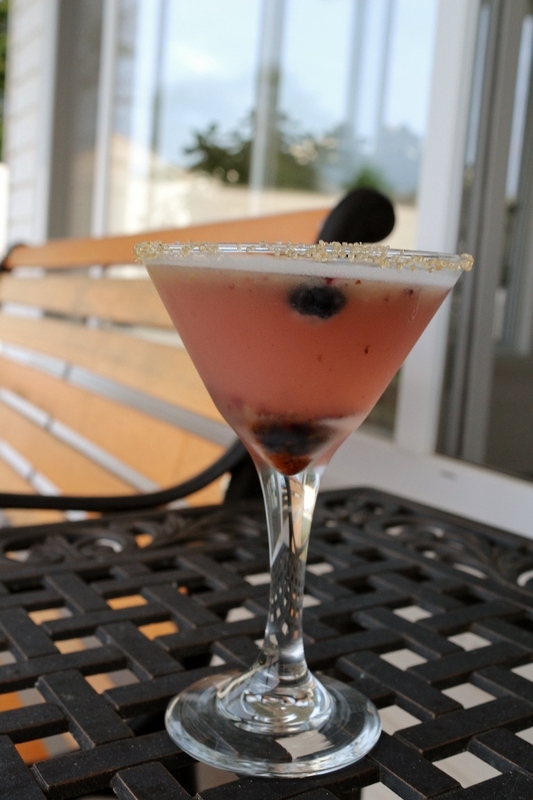 The Blueberry Lemon Drop Martini from Fleming's just may be my new favorite summer drink. 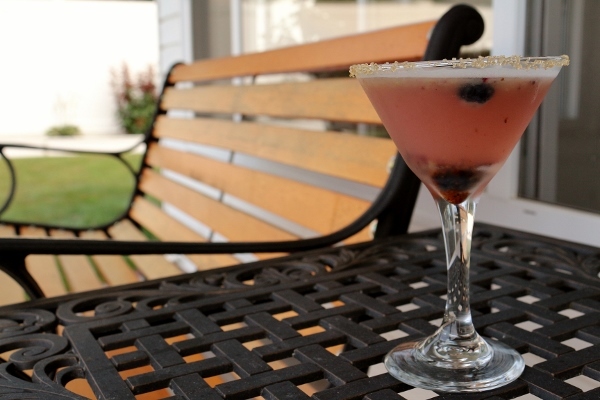 It has the tart and sweet balance of an excellent lemon drop martini (one of my all time favorites) with the vibrancy and gorgeous purple hue of fresh muddled blueberries. 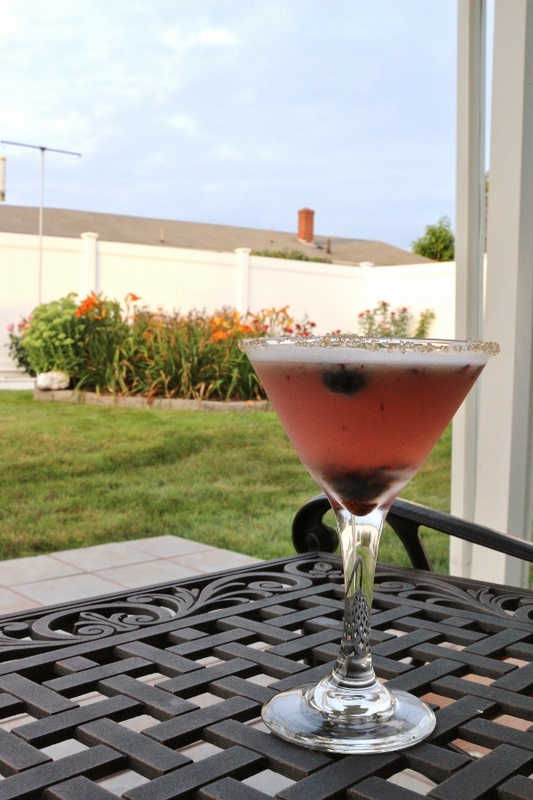 The blueberries definitely add that "taste of summer" quality to an already pitch perfect cocktail. A raw sugar rim adds extra sweetness and crunch. The original recipe from Fleming's calls for Pinnacle Blueberry Vodka, but I have Stoli Blueberi Vodka on hand so that's what I used (technically I think it's even better in terms of quality and flavor). These two summery cocktails are easy to make, and perfect for any occasion. If you've got a few martini glasses and some basics in your liquor cabinet, you can enjoy the tastes of summer any night of the week. Wet the rim of a martini glass and dip it in sugar to create a sugar rim. 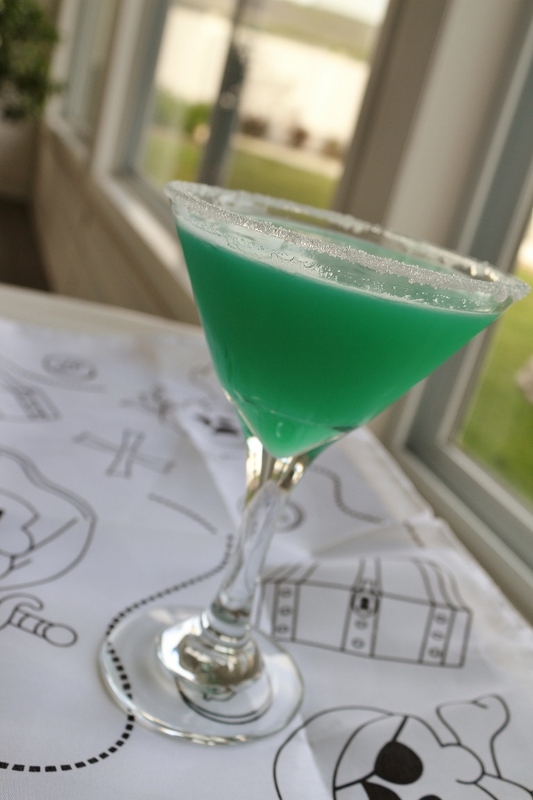 In a cocktail shaker, add ice, the pineapple juice, rum, and blue curacao; shake and then strain into the martini glass. Serve immediately. 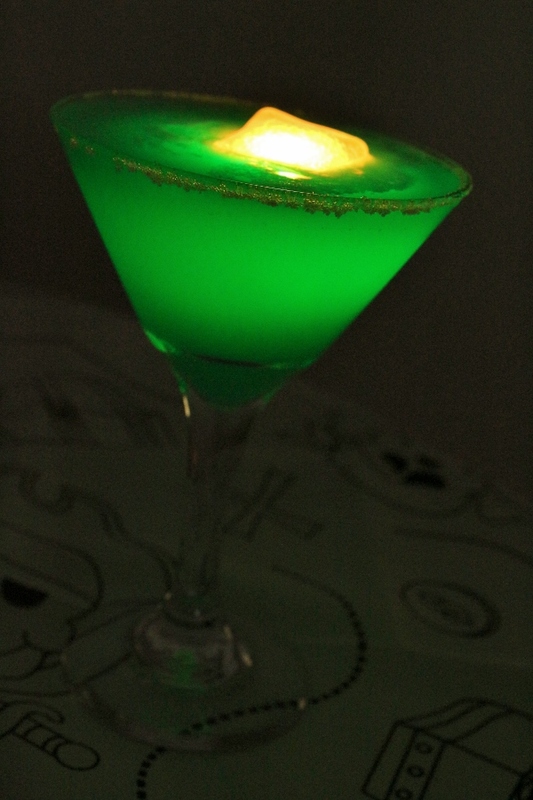 Wet the rim of a martini glass and dip in raw sugar to create a sugar rim. Add 2 blueberries to the glass and set aside. In a cocktail shaker, muddle 10 remaining blueberries. 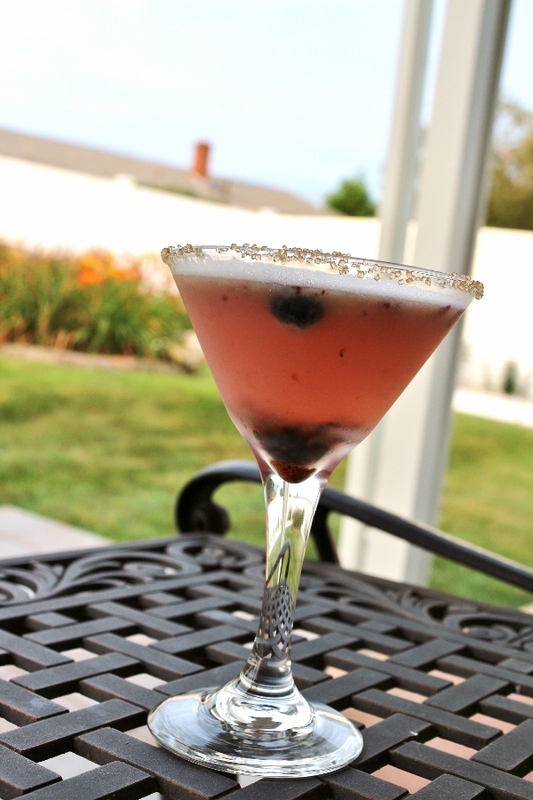 Add ice, blueberry vodka, lemon juice, and simple syrup; shake and then strain into the martini glass. Serve immediately.